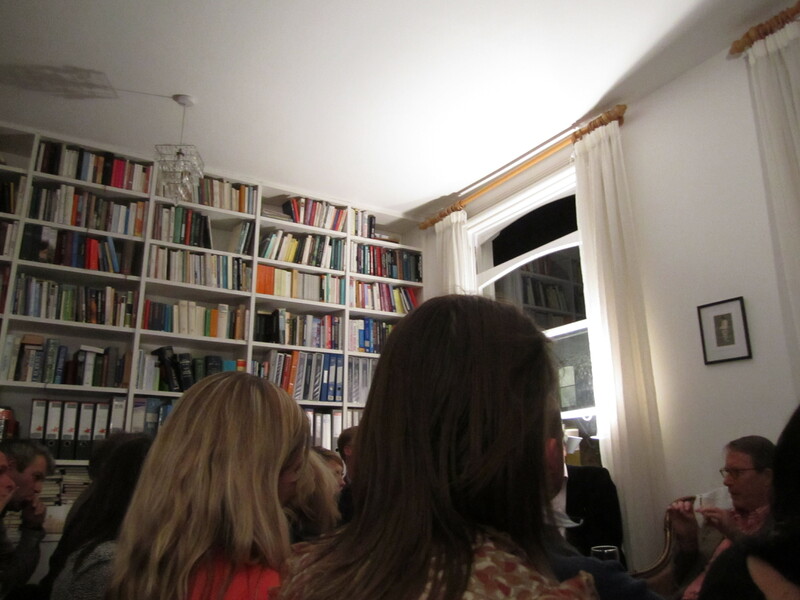 Lovely Meike from Peirene Press invited me to her sixth literary salon and I couldn’t resist saying yes! 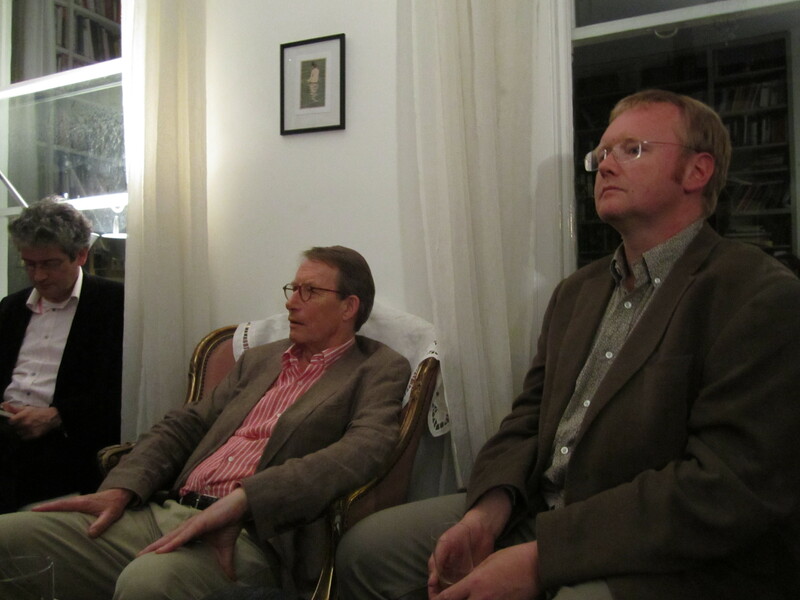 I’ve never been to a literary salon before although I’ve read a lot about them. This one was for Friedrich Christian Delius’ Portrait of the Mother as a Young Woman which I enjoyed reading. On an off chance I asked my sister whether she’d be interested in coming and she surprised me by saying yes. So all three of us, including my brother-in-law, who have never been to one wandered over to Meike’s to see what it was all about. The three of us enjoyed the evening tremendously. Especially my sister who discovered the joys of reading later in life (not a big reader when she was young and had to be paid by my father to read) and my brother-in-law ( who doesn’t read except for work and isn’t embarrassed to say so). We had a lively discussion on the way home and are looking forward to participating in more literary endeavors together! Literary events seem to be having a boom these days. 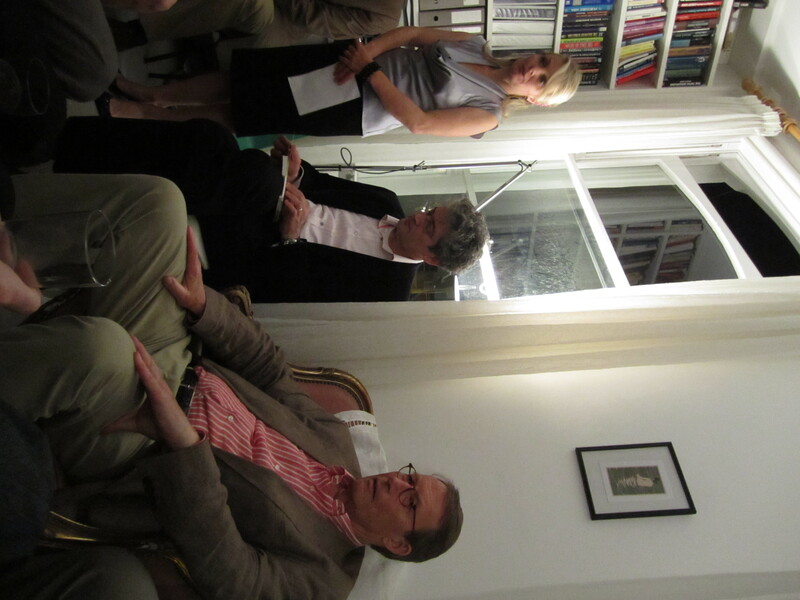 Have you been to any literary nights out recently and if so, what did you enjoy most? I’m ashamed to say that I haven’t been to any literary events. I was hoping to go to bokmässan this weekend in Göteborg, but I couldn’t get any rooms to stay in, so alas. I think I would be quite shy at such an intimate literary event, but then that’s probably make it all the more enjoyable as well. And I am very glad to hear that the mother got reunited with her husband 3 months after the novel. This looks really special, especially for the setting and being about one book. I’d love to go to one one day. Sounds like fun, Sakura. I’d love to be able to get to one of these events but it’s difficult living so far away. Was this the one that Kim from Reading Matters chaired? The setting is fantastic though with that magnificent wall of books! I love lit. events. They always leave me enthusiastic and loved, especially if they sign my books! Kim did hers in a bookshop. I really wanted to go and see hers and it seems they had a wonderful discussion but had already booked this one. Haha, I wish I was paid too! I think they’re slowly expanding out from London now, but still centred in big cities 🙂 I couldn’t help but ask Delius if the mother and father are re-united. I wasn’t sure whether he wanted to answer me, but then I think we all wanted to know.